The graduate program in Cell and Developmental Biology offers M.Sc. and Ph.D. degrees to students undertaking advanced study and research in cell and developmental biology. The program is flexible and is designed to accommodate the diverse backgrounds of students and the broad nature of research in cell and developmental biology. The program's courses provide a thorough understanding of the scientific fundamentals and methodologies of contemporary cell and developmental biology. All students also undertake original and significant research from the start of their studies. With nearly 50 faculty members engaged in cutting-edge research in cell and developmental biology, a wide range of research topics is available to students. The program also aims to enhance linkages and facilitate research interactions between the larger community of cell and developmental biologists in British Columbia by acting as a common forum for scholarly exchange in cell and developmental biology through its student-led seminar series, research retreats and other activities. The Program is administered through the Life Sciences Institute (LSI), Canada's largest Institute for life science research which houses over 80 laboratories conducting internationally recognized research in areas such as cell and molecular biology, cancer biology, diabetes and microbiology & immunology. Program faculty and students also conduct research at hospital-based research Institutes and Centres, including the BC Cancer Research Centre, the Biomedical Research Centre, the Centre for Brain Health, BC Children's Hospital Research Institute, the Centre for Molecular Medicine and Therapeutics,and the Centre for Macular Research. All of these Institutes and Centres offer highly collaborative research environments and provide outstanding facilities and resources to the ~ 70 graduate students who call the program home. Given the number of researchers associated with the program and their varied Departmental and Faculty affiliations, the potential range of research topics available to students in the Program is very large. 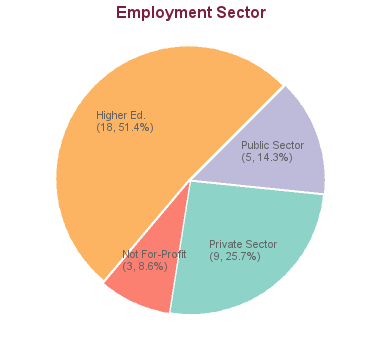 Minimum level of financial support for M.Sc. 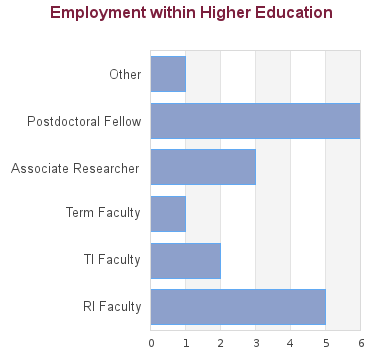 and Ph.D. students of $22,000 per year, with top-ups for students who receive scholarships. Acceptance into the Program is dependent upon a prospective student getting written agreement from a Faculty member that he/she will be their Research Supervisor. Research Supervisors must commit to supporting you financially during the course of your training. The minimum level of financial support is $22,000 per year, for a minimum of 4 years. As a general rule, financial support continues to the completion of your degree, so long as performance is satisfactory and you remain in good academic standing. Students are expected to pay tuition from their stipend. Financial support is in the form of a minimum funding package which can be made up from several sources – usually a combination of a Scholarship/Award, a Teaching Assistantship (from teaching duties as a graduate student, to a maximum of two 0.5 TAships per year) and a Research Assistantship (paid from a Supervisor’s research funds). There are no citizenship requirements for Teaching or Research Assistantships. This program underwent a name or structural change in the study time frame, and all alumni from the previous program were included in these summaries. These data represent historical employment information and do not guarantee future employment prospects for graduates of this program. They are for informational purposes only. Data were collected through either alumni surveys or internet research. Our graduates are well-prepared and highly competitive for the next step in their careers, whether in academia or in other sectors (e.g. biotechnology, health care, government, business, finance) where an in-depth knowledge of modern cell and developmental biology is required. Based on 8 graduations between 2014 - 2017 the minimum time to completion is 4.33 years and the maximum time is 7.00 years with an average of 5.91 years of study. All calculations exclude leave times. Admissions data refer to all UBC Vancouver new registrants for each year, May to April [data updated: 22 March 2019]. Enrolment data are based on March 1 snapshots. Program completion data are only provided for datasets comprised of more than 4 individuals. Rates and times of completion depend on a number of variables (e.g. curriculum requirements, student funding), some of which may have changed in recent years for some programs [data updated: 23 September 2018].